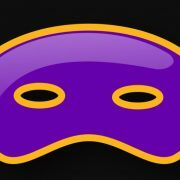 Everybody is not using a router in their home to connect internet. Nowadays, when the Wifi adapter is almost in every laptop and PC (via Wireless adapter card); the users mostly ad hoc smartphone’s hotspot to share and use the internet. Another reason why the users started using Wifi over the ethernet connection; because nobody wants to run long ethernet cables in their homes. That’s why Wifi adapters and WiFi hotspots are more popular nowadays. So, in such circumstances, if someone wants to share a computer’s WiFi Internet connection with other Ethernet devices, how will he do that? You might be thinking, why would we do this? Just imagine you don’t have a router with LAN ethernet port to connect some old devices. Since there are certain devices in home and offices those still not offers the WiFi connectivity option like smart TVs (old), media players, NAS devices and more… Such kind of devices needs a wired Ethernet connection to connect to the Internet. 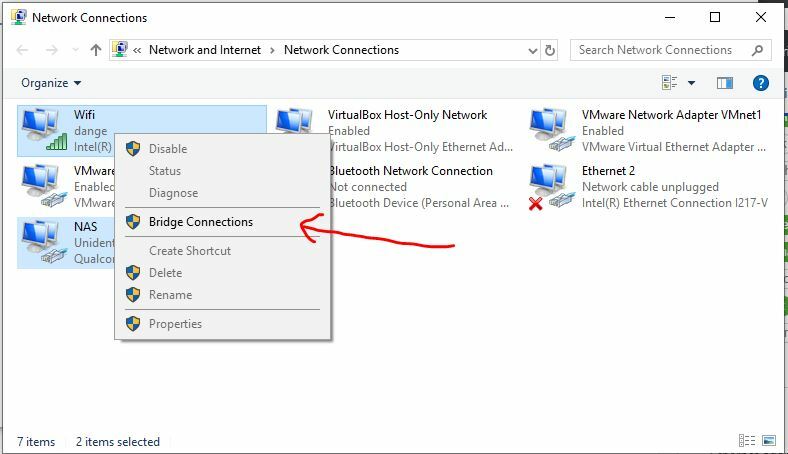 We don’t need any Virtual router to share internet connection in Windows 7, 8 or 10. Just bridge Wifi to ethernet in Windows 10 or whatever the Windows version you are on and that’s it. Not only Wifi adapter to Ethernet but also one can use this method for Ethernet adapter to Ethernet adapter too. 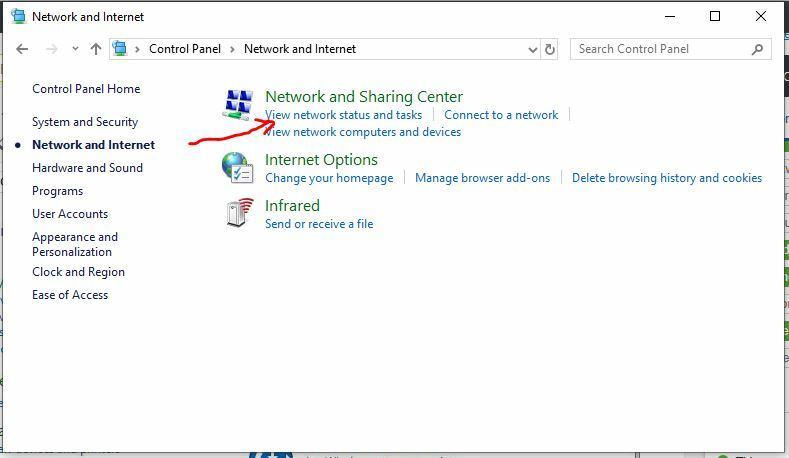 Although there are a few software available online those let us create virtual router on Windows to share internet from PC to PC via ethernet. But actually, we don’t need them. 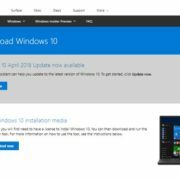 Just follow the below steps… We are using Windows 10 here but the steps are the same for Windows 8 and Windows 7 too. Connect the ethernet cable of other device to your computer or laptop. Go to the search bar of the Windows 10 or 7. Click on the Control Panel to open it. You will see View network status and task under Network and Sharing center, click on that. From the left side panel, click on Change adapter settings. Now press the Shift button and without releasing it, click on the Wifi adapter and then on the Ethernet adapter for which you want to share the network connection. 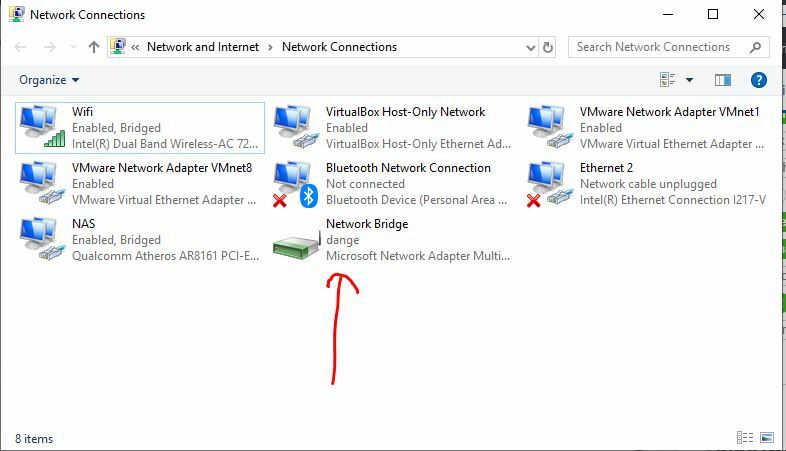 Right click on any of the adapters and select the Bridge connection option. Step 1: As I said in the above-mentioned steps that first you need to connect the ethernet cable to the computer or laptop from where your want share the wireless network internet connection. 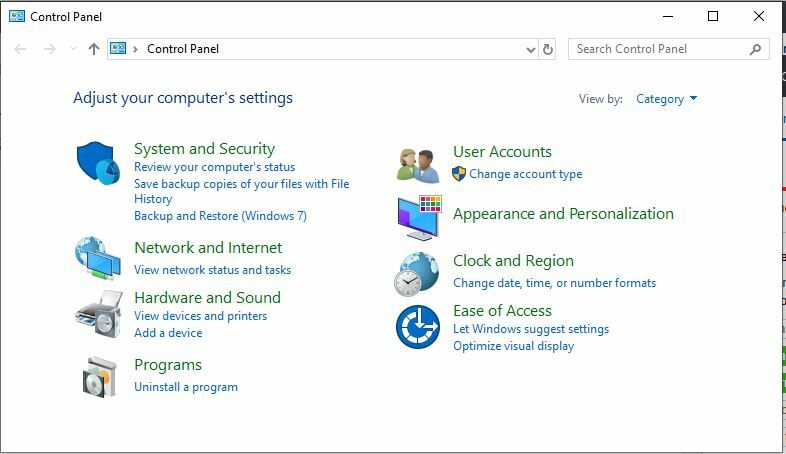 Then, search and open the control panel on Windows 10 or Windows 7. When it appears just click on that. Step 2: Click on the Network and internet option. Step 3: In the Network and Sharing Center, you will se View netwrok status and tasks section just select that. Step 5: From the left side optional panel select the Change adapter settings. Step 6: Now press the SHIFT key on keyboard and without releasing it click on Wifi adapter and then the ethernet adpater. 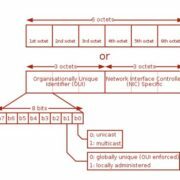 After that right click on any of them wither Wifi or Ethernet adapter and then select the option Bridge conenctions. Step 7: As soon you make the bridge between the two adapters the other ethernet devices that connected to your host computer can use the internet connection. When both adapters bound into a single bridge connection, it will show “Enable, Bridge” text on the shared adapters. 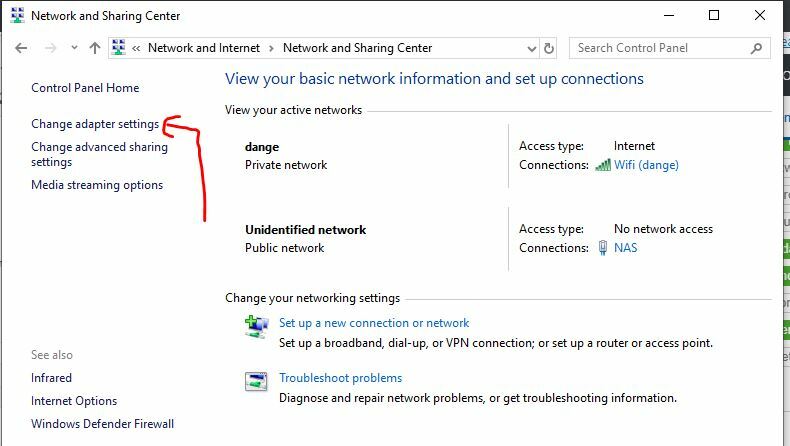 Furthermore, also a Network bridge adapter will be created by Windows separately from where you can check the IP address range or other properties sharing by both the adapters. 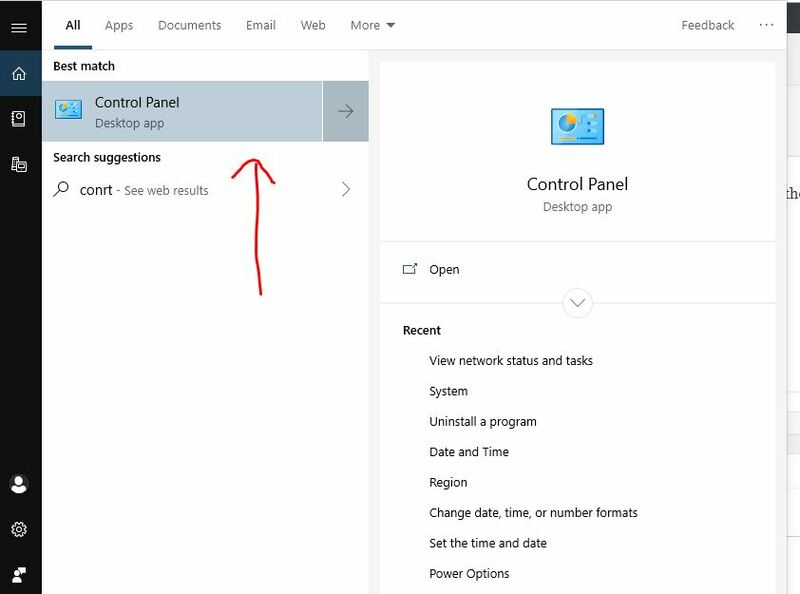 After the bridge Wifi to Ethernet in Windows 10, you don’t need to worry about IP address range. Because both will share the same IP address range. This all process will turn your Windows a kind of middle man through which our ethernet devices use the internet connection. In this way, you can also test different devices over TCP IP or allow other network users to connect through this computer (enabled with Wi fi hotspot) without using routers. 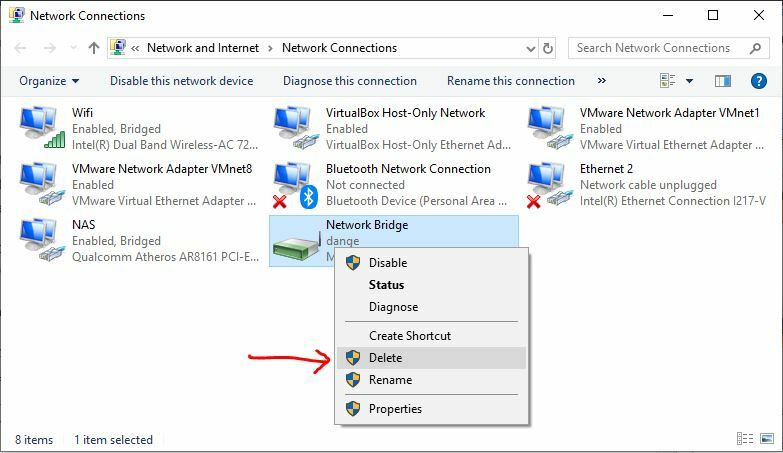 How to remove or delete the Bridge adpater or connection in Windows? To remove the Bridge connection. Just right click on thew newly created Netwrok Bridge adapter. And then you will see, both the adapters will return to thier normal state and work individually as before. 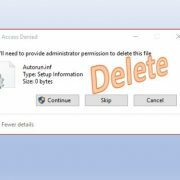 How to open & use the Windows task manager in Windows 10,8,7 & XP ?